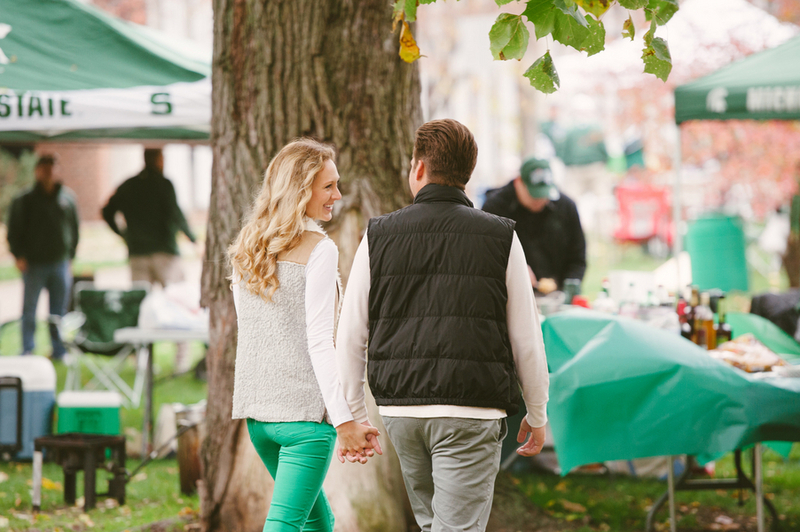 Any college sports fan can appreciate the thought and planning that went into this Michigan State proposal (secretly captured by Allie Siarto Photography). With campus tradition and romance reigning supreme, Phil swept Maggie off her feet in true Spartan style. The couple drove up to Michigan State (where Maggie attended college) for the biggest football game of the year: Michigan State vs. University of Michigan. They woke up before the rest of campus stirred and walked the quad that had turned into a kaleidoscope of brightly hued fall autumn leaves. “The sun was seeping through the clouds with just enough light to cast on the rarest form of cedar trees. I can’t remember my school campus ever looking so beautiful. The chance of seeing leaves in these colors is so rare because it might only occur one week out of the entire year,” adds Maggie. 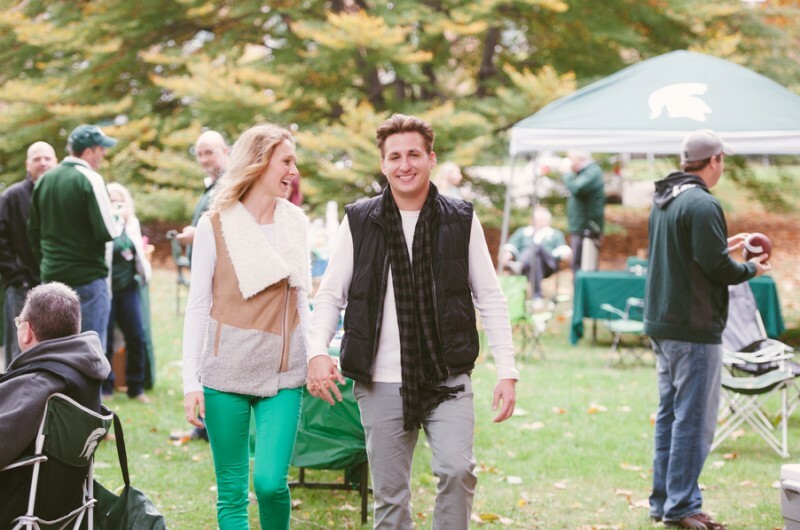 The couple later celebrated with friends in true tailgating form — and in case you’re wondering, MSU beat UM 35-11 that day! Phil picked out a gorgeous round cut solitaire diamond held up by an infinity band of smaller diamonds. “It is exquisite,” gushes Maggie.